Amidst the lowest medal turnout in the recent history of the event at the 2017 SEA Games here in Kuala Lumpur, the Philippines managed to find a glimmer of hope in figure skating. 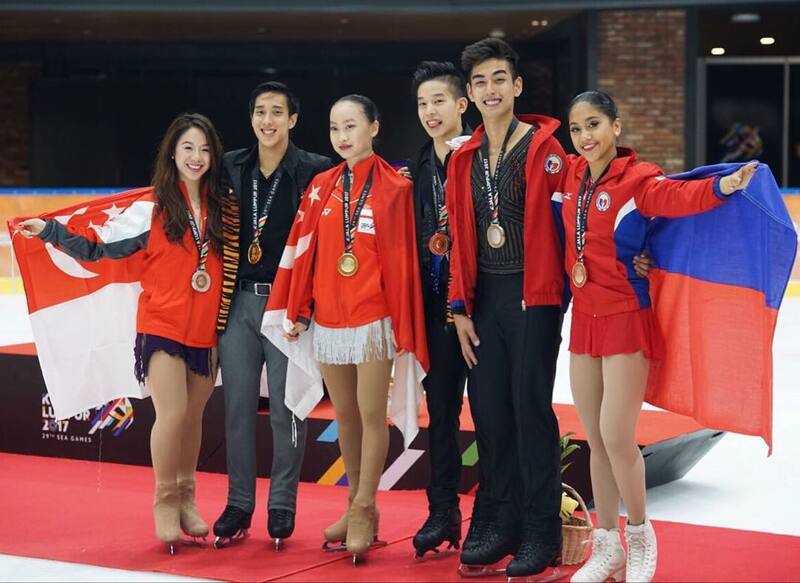 Olympian Michael Christian Martinez ended up bagging a silver medal in the men's figure skating event, while a rising star for Southeast Asian figure skating, Alisson Krystle Perticheto, took home a bronze in the ladies event. The men's event was won by Julian Zhi Jie Yee of Malaysia, while Chew Kai Xiang, also of Malaysia, took the bronze. Singapore was dominant in the ladies category, with gold and silver going to Yu Shuran and Chloe Ing, respectively. Another Philippine representative, Jules Vince Alpe, finished in 6th in the men's figure skating event. ​Kathryn Magno, the lone Philippine representative for short track speed skating at the SEA Games, was hit with a penalty in the 500m Heat, and placed 4th in the 1000m Final.